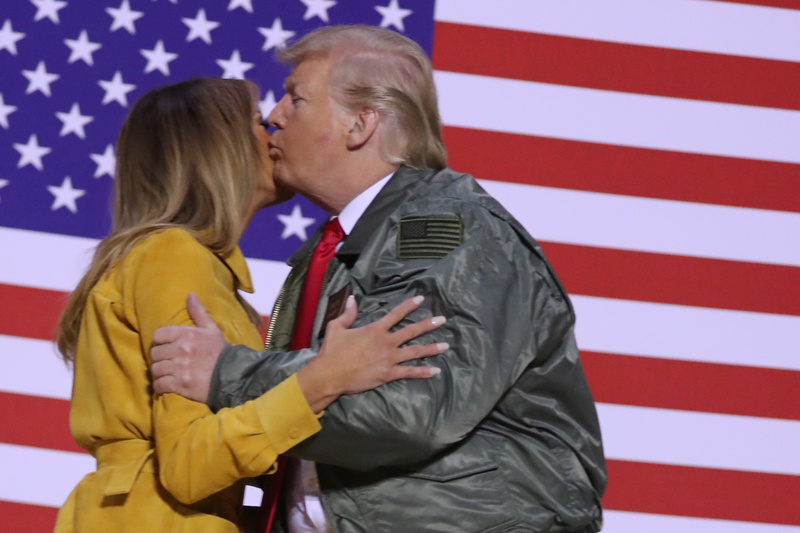 President Donald Trump revealed Wednesday that he was concerned for the safety of first lady Melania Trump during an unannounced trip to Iraq late Christmas evening to visit with U.S. troops for the holidays. Trump told reporters while speaking at a press conference at the Al Asad Airbase just west of Baghdad that he “absolutely” had concerns traveling to the combat zone, specifically for the people with whom he was traveling. “Absolutely,” President Trump says when asked if he had any concerns about visiting Iraq. Trump’s surprise trip to Iraq marks his first voyage into a war zone since becoming commander in chief. The president and first lady spent hours after touching down greeting servicemen and taking photographs.